If you like a bit of peace and quiet away from the main road, this is the perfect home for you. 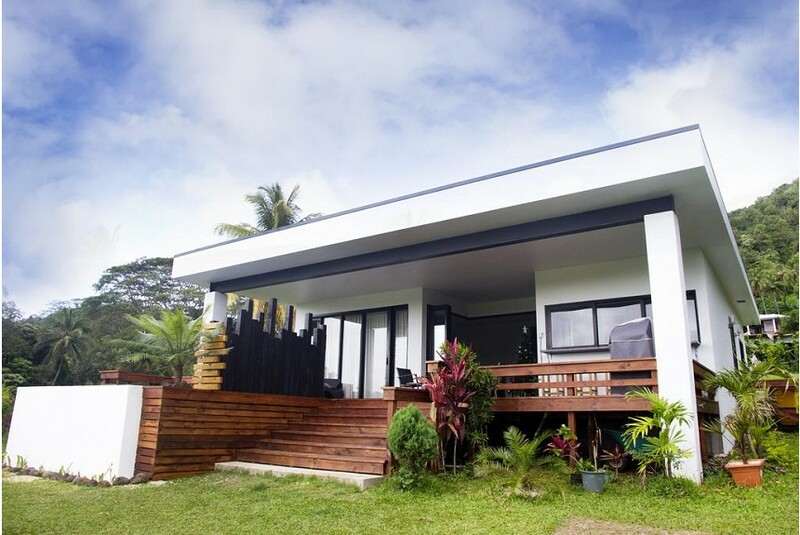 Set against the lush backdrop of the Arorangi foothills and mountains, Konoha Villa, which translates 'Villa hidden in the leaves' is a beautiful brand new and modern, fully furnished, 2 bedroom home situated on the western side of Rarotonga. The ideal location for capturing that perfect sunset while relaxing under the comfort of your very own large open deck, sipping a glass of bubbly - or whatever your heart desires! Complete with all the comforts of home, including a 50" 3D LED TV, home entertainment theatre, granite benchtop kitchen, stainless steel oven/ stove, microwave, large 2- door fridge, washer and dryer you would not have to leave your house except to grab a bite.